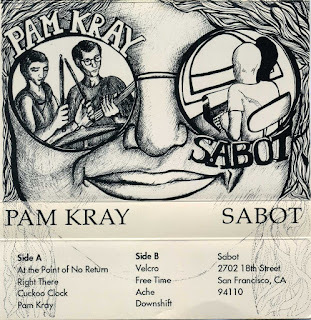 Sabot is an american duo, comprised of Christopher Rankin (bass guitar) and Hilary Binder (drums). Formed in 1988 in San Francisco, California, formerly the rhythm section of Forethought. Resident in Tábor, Czech Republic, since the early 1990s.It seems that they splitted up not long ago,all the news and more info+links of new and old projects on their official webpage. 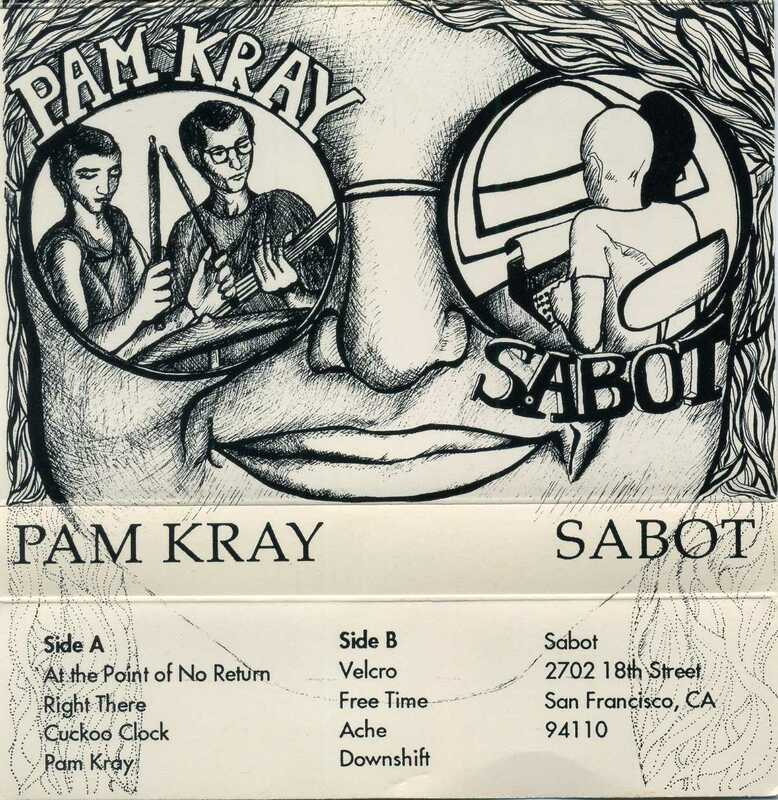 Pam Kray is their second release,in its cover sleeve the musicians wrote"feel free to duplicate this tape and distribute it to your friends". They play a personal form of alternative jazzcore with powerful drums and intricate bass riffs. A great album for the lovers of original and non-conventional music.